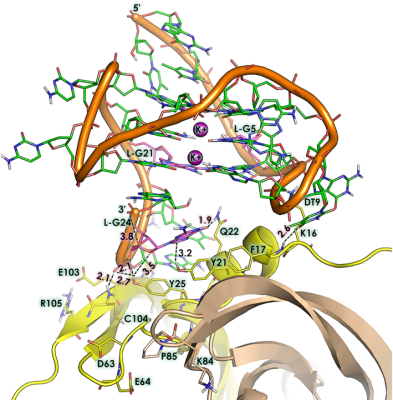 We routinely develop novel nucleic acid aptamers -short DNA or RNA oligonucleotides that can bind to a specific molecular or cellular target with very high affinity and specificity similar to antibodies rendering the name ‘chemical antibodies’ against various targets including proteins, peptides and whole cells. 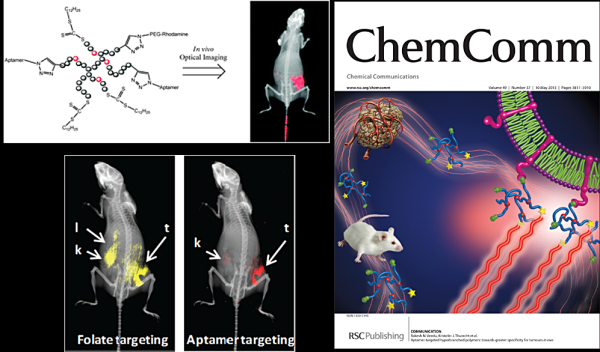 We explore the potential of the developed aptamer for tissue specific drug delivery, targeted therapy, and targeted molecular imaging. 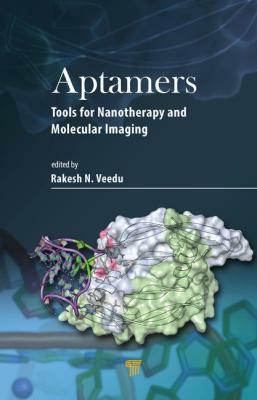 Veedu RN, Aptamers: Tools for Targeted Nanotherapy and Molecular Imaging, Pan Stanford Publishing Pte Ltd, CRC Press, Singapore, 2016. 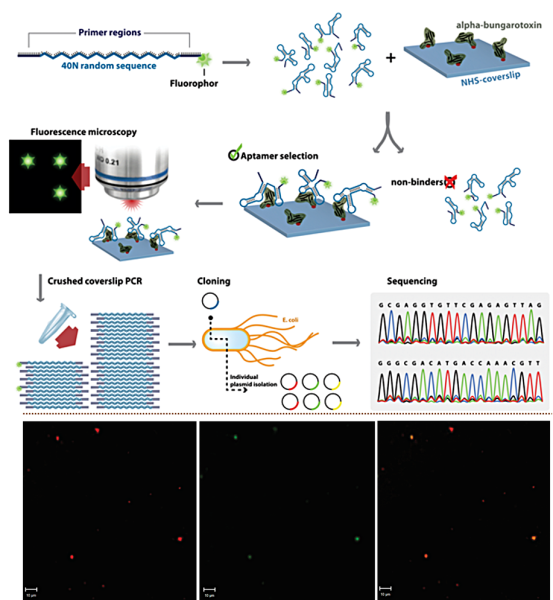 Lauridsen LH, Shamaileh LH, Edwards SL, Taran E, Veedu RN (2012) Rapid One-Step Selection Method for Generating Nucleic Acid Aptamers: Development of a DNA aptamer against Alpha-Bungarotoxin. 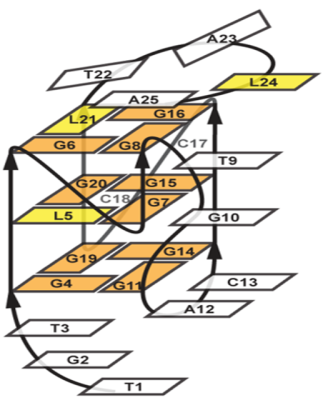 PLOS ONE, 7, e41702. 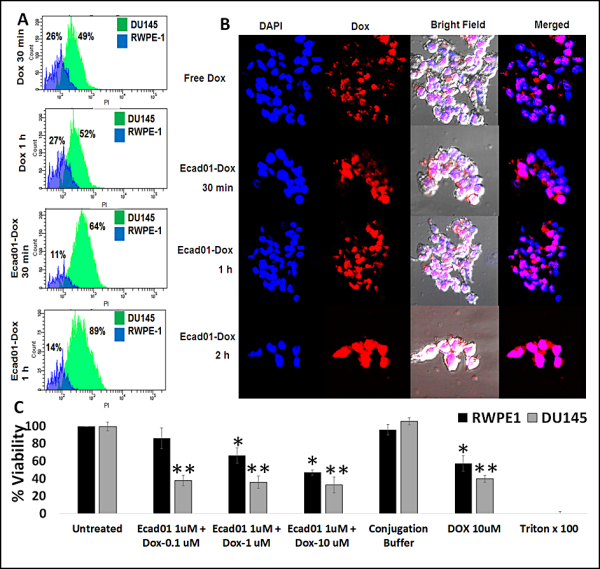 Edwards SL, Poongavanam V, Kanwar JR, Roy K, Hillman KM, Neerati P, Leth-Larsen R, Petersen M, Marusic M, Plavec J, Wengel J, Veedu RN (2015) Targeting VEGF with LNA-stabilized G-rich oligonucleotide for efficient breast cancer inhibition. Chemical Communications, 51, 9499-9502. 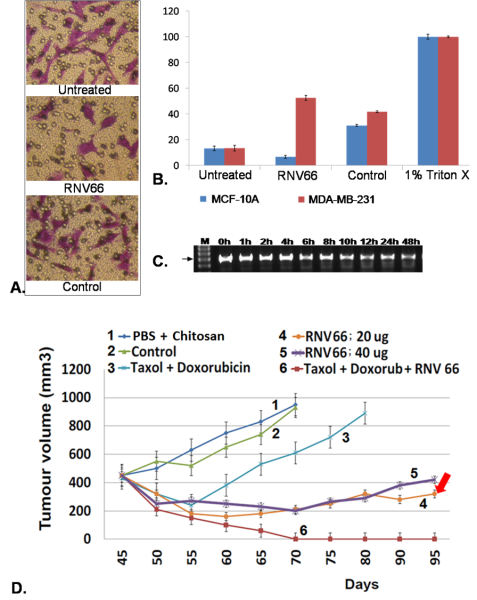 Chaudhary R, Roy K, Kanwar RK, Veedu RN, Krishnakumar S, Cheung CHA, Verma AK, Kanwar JR (2016) E-Cadherin Aptamer-Conjugated Delivery of Doxorubicin for Targeted Inhibition of Prostate Cancer Cells. 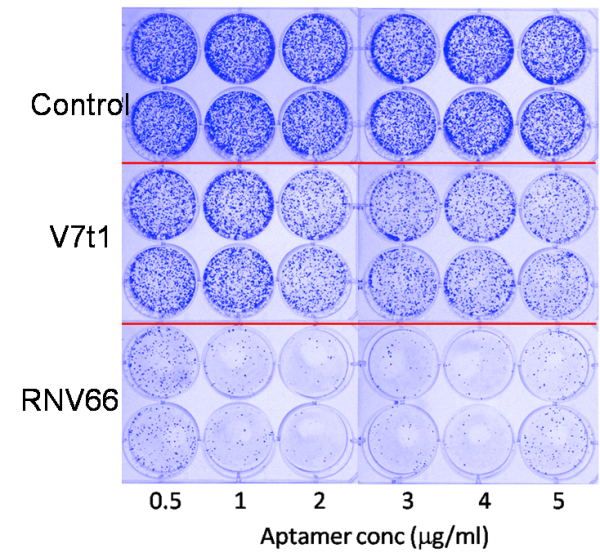 Australian Journal of Chemistry, 69, 1108-1116. 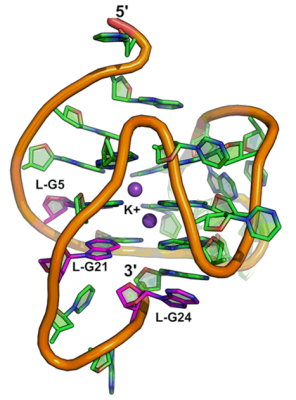 Coles DJ, Rolfe BE, Boase NRB, Veedu RN, Thurecht KJ (2013) Aptamer-targeted hyperbranched polymers: Towards greater specificity for tumours in vivo. Chemical Communications, 49, 3836-3838.